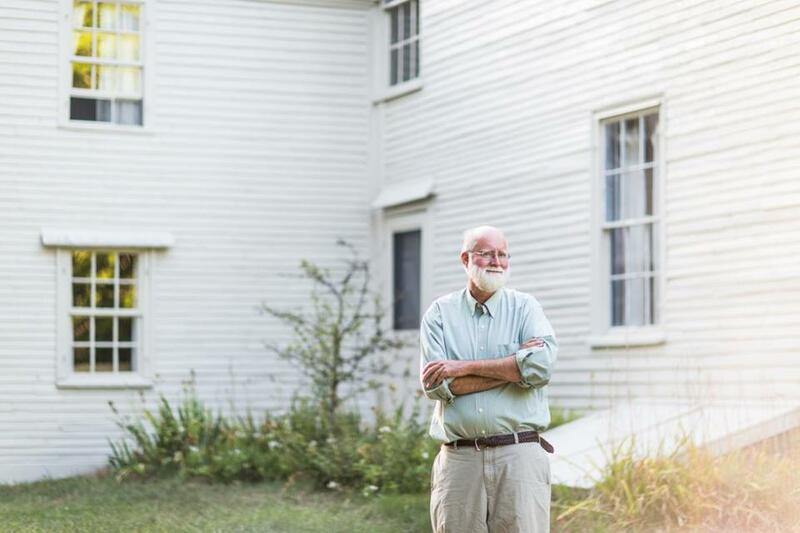 Nicholson Baker (pictured at his farmhouse in South Berwick, Maine) has made his first foray into first-person, participatory journalism after writing 15 works of fiction and nonfiction. Can you recall the ecstasy of having a substitute fill in for your teacher? Some poor sap, disheveled and half-asleep, would arrive in your classroom, indifferent or scared, and incapable, usually, of reining in the inevitable maelstrom of misbehavior. Baker’s new book, “Substitute: Going to School With a Thousand Kids” chronicles his stint substitute teaching in Maine’s elementary, middle and high schools. The day-by-day, documentary reportage is an illuminating snapshot of public education in America today: curricular standardization, omnipresent technology, and overworked teachers and overmedicated kids overwhelmed by the stress of a thousand tiny distractions. “For many kids, going to school is simply about finding a way to get through six and a half hours of compulsory deskbound fluorescence without wigging out and incurring punishment,” Baker writes in the preface. Baker launches a 13-city national book tour for “Substitute” at the Harvard Book Store in Cambridge on Sept. 6. Winner of the National Book Critics Circle Award, among other literary prizes, Baker is the author of some 15 works of fiction and nonfiction, including “Vox,” “The Fermata,” and “Human Smoke” — novels on such wide-ranging topics as sexual escapades and assassination plots, and treatises on the demise of newspapers and the origins of World War II. “Substitute” is Baker’s first foray into first-person, participatory journalism. Baker’s 13-city book tour begins with a stop in Cambridge at the Harvard Book Store. Despite zero previous experience teaching kids, Baker jumped in. He attended a brief training program offered by a local school. Once approved, he began getting calls at 5:30 a.m. assigning him to a school. For a total of 28 days during the spring of 2014, he taught all ages and grades, from bubbly kindergartners to indifferent seniors — enough fodder for his 719-page doorstopper of a memoir. Baker grew up in Rochester, and briefly attended the Eastman School of Music (where he entertained a career as a composer), before transferring to Haverford College, where he met his future wife, Margaret Brentano, a student at neighboring Bryn Mawr. After graduation, Baker worked on Wall Street for a brokerage firm, then quit and began to write fiction. The Atlantic and The New Yorker soon accepted two of his short stories. He was 23. What marries all of Baker’s books, both fiction and nonfiction, are the trivial and digressive thoughts of their protagonists, an almost obsessive attention to detail, and events portrayed at a snail’s pace. 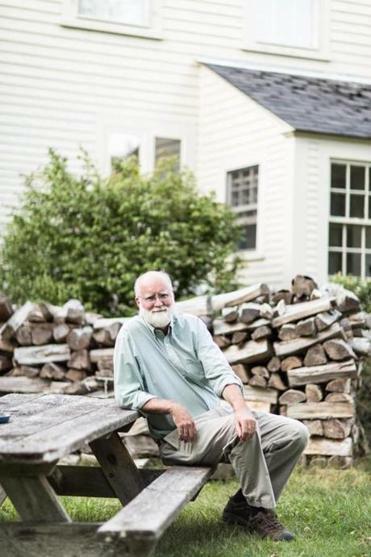 Nicholson Baker will discuss his new book Sept. 6 at Harvard Book Store, Cambridge, at 7 p.m. Click here for more info. Ethan Gilsdorf can be reached at ethan@ethangilsdorf.com. Follow him on Twitter@ethanfreak.